Freedom Point: Introducing Sage Camille's "Oh so fine 9!" Introducing Sage Camille's "Oh so fine 9!" 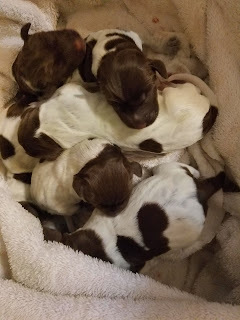 We're excited to announce that after a restless night, starting around 6 o'clock this morning, Sage Camille has successfully whelped a beautiful litter of 9! 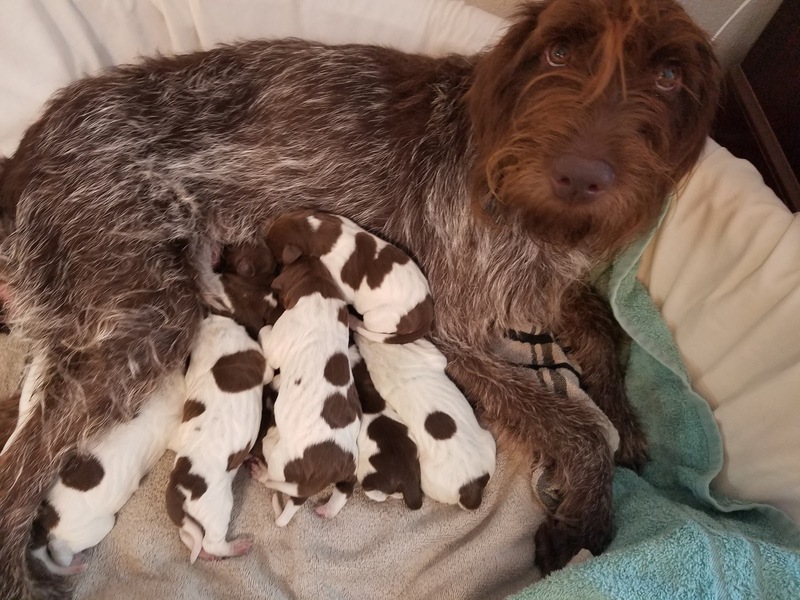 Mama and pups are doing great and I am adding Canine Midwife to her resume! In all of his years of dog breeding and training, Jason was never on the 'receiving end' of a whelping. 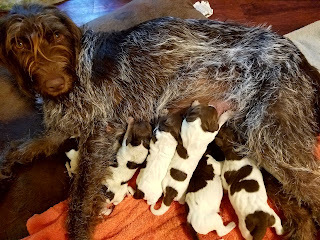 He successfully drank a full pot of coffee and prepared the kennel during delivery while I assisted Sage. This being her first litter, it took her a pup or 2 to get it figured out, but once she did, she was a champ! I couldn't be prouder! The little Bossman is going to be so excited to see these puppies when he gets home from school today! He went down to grandma's after puppy number 1 came along. For those asking about availability, we have notified our existing waiting list and respectfully given them 48 hours to respond. Please complete a puppy application to be added to our list. After 48 hours, we will review new applications and conduct interviews if puppies are available.